"What is the best printer to buy" is probably our most asked question outside of printer cartridges, and this guide is kept fully up to date to answer that question for you. Containing the best printers available to buy for your home in 2018, printer shopping is now stress free. There are recommendations of what you should look out for and questions to ask, plus a list of Best-buy printers to aid you along in the process. Happy shopping, and if you have any questions let us know. Last updated: February 2018. This guide recommends the best printers you can buy in 2018 for the home. 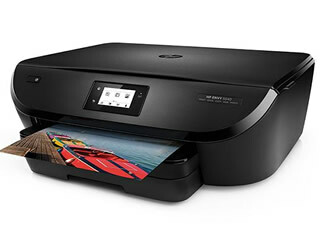 Most home printers need a lot of black prints, whether it's normal documents or homework for the kids, yet there are still home printers available that have tiny-yield black cartridges. Make sure to check how many pages they do before purchasing! 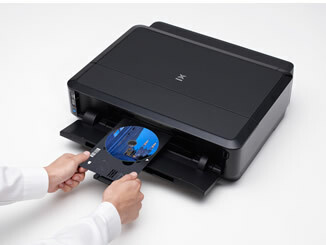 Choosing between a printer which takes 2 or 4 cartridges is a fine balancing act. If you print more than a few pages every couple of days get one with more than 2 cartridges, you'll see cheaper running costs as you only replace each cartridge as-and-when it is empty. If you print incredibly infrequently get a 2 cartridge printer, they typically use less ink maintaining themselves when you turn the printer on and off. Also, if the ink ever dries up from lack of use it will only block the cartridge, not the printer (as most 2 cartridge printers have the printhead built into the cartridge). Just because a printer has colour cartridges does not make it a good photo printer. 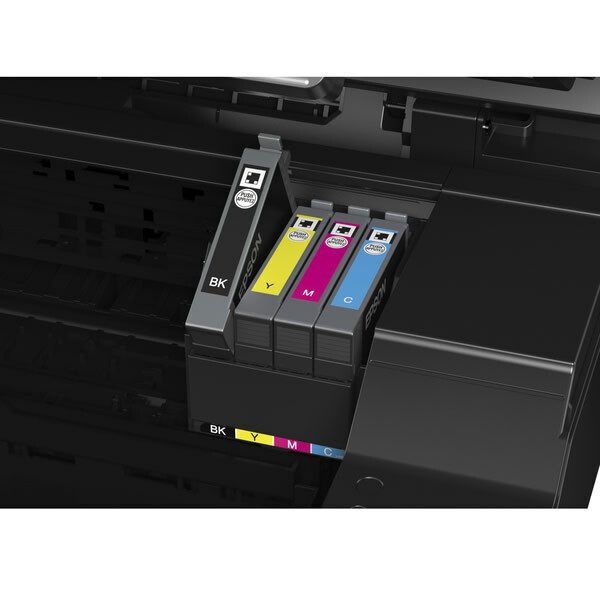 You need decent capacity cartridges that will handle the amount of inks photos take, and ideally choose printers able to handle special media and different types of paper. Duplex Printing onto both sides of the page automatically, a great money-saver if your home printer does a lot of work documents. ePrint You can email your printer documents and it will automatically print them, perfect for leaving things ready for you at home. Networking Most homes will have wireless access now but if you need a wired connection make sure your printer has it. 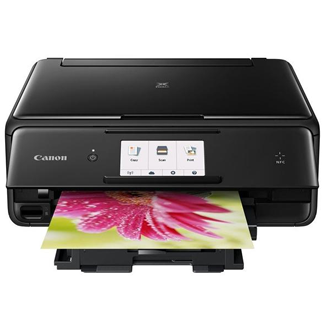 Canon continue their hot streak of excellent home printers, with the Canon Pixma TS6050. 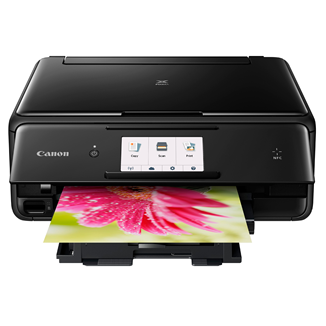 While it's not the master of anything in particular, with some printers more suited for home-office work and some more suited for photos, as an all-round package it is hard to beat, especially for the price, and gets our overall Best Home printer recommendation. Read the full Canon Pixma TS6050 printer review. 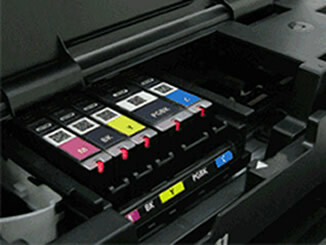 You want a printer that can do it all plus unbeatable colour printing results. If you want a cheap and cheerful printer that can still give excellent quality (especially photos) then look no further than the XP-245. It has the best photo results from all of the budget printers we've looked at and, with easy installation and good reliability, it's a solid all round printer that ticks the budget boxes. Whilst its running costs aren't the lowest just yet in the budget printer realm, they're pretty low and are only getting cheaper as supply of the compatibles becomes more readily available. With excellent quality, it's worth it. 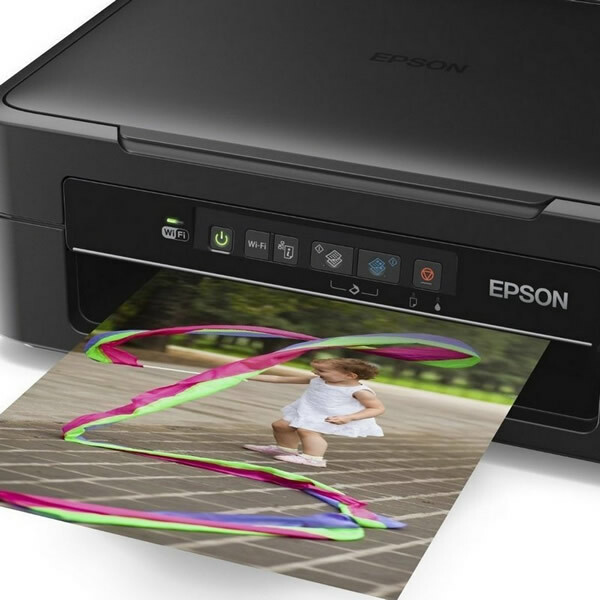 Read the full Epson XP-245 printer review. Tip: if you print very, very rarely then you're best staying away from Epson printers as they may experience print quality issues with blocked printheads from inactivity. 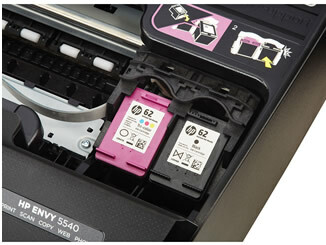 In that case we recommend the HP Envy 5540, a machine designed precisely for low volume users. It's a reliable performer that should tick all of the boxes. You need decent quality prints in the home but don't want to spend much, and are happy to use compatibles. 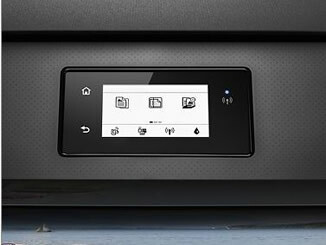 The Brother DCP-J774dw gives the Epson XP-245 a close run for its money. 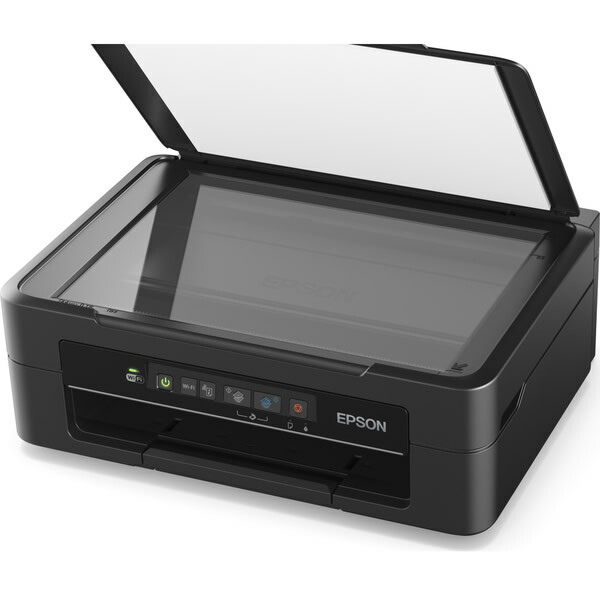 If you're not a fan of the Epson brand it is worth looking at. AirPrint is available on a much larger range of printers in 2018, making it easier and easier to shop for. 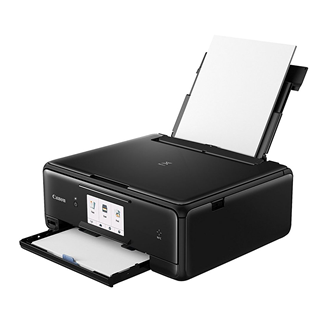 Our top rated home printer, the Canon TS6050, supports AirPrint and is our go-to recommendation, but if you're after a budget printer with the same functionality then take a look at the HP Envy 5540. It is easy to use with solid print quality, and is cheap to buy It's fairly expensive to run though, so we'd still advise spending a little extra and getting one of the 'better' AirPrint printers we recommend in our guide. If you definitely want to save money though, read our full HP Envy 5540 review. You want a solid, reliable printer that has AirPrint capability. The Brother DCP-J774dw is a great little addition from Brother that may be more suitable if you want budget, but still want the individual colour cartridges. If you don't want any scanning or copying fuss, and simply want a printer that can print, you won't find better than the iP7250 for your money, even though we first reviewed it back in 2015. 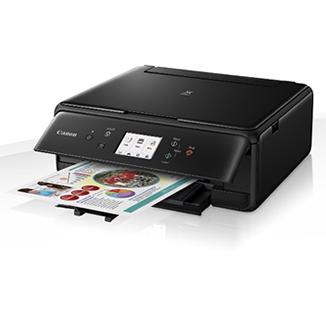 So many printers now are released with multi-functionality and features thrown in that you just don't want, and the iP7250 is still the best of the rest. Print quality is excellent for any kind of document, and easy wireless & mobile connectivity (even Apple AirPrint) gives you plenty of options. It's not even that expensive to run, and taking 5 individual cartridges means you only replace what you use. Make sure to give some photo prints a go, the iP7250 also rated as one of our top home photo printers. Read the full Canon iP7250 review. You just want to print and love colour photos. Utilising an extra grey cartridge, the TS8050 has an increased colour gamut, giving more accurate colours, better gradients and overall amazing pictures. You'll love it no matter the photos you want to print. 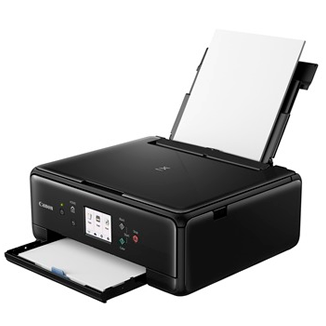 It's also pretty good as an all round printer, in case you need more than just photos. 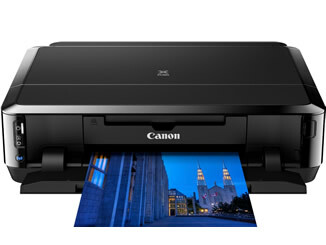 Read the full Canon Pixma TS8050 printer review. If you're looking at the Canon Pixma TS9050 review then that is also great and nearly an identical machine, so go nuts. 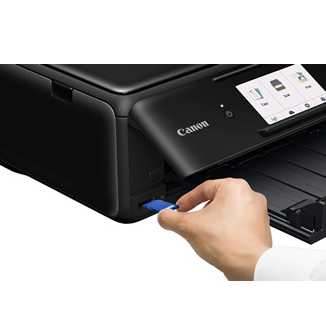 If you don't want any multi-functionality, and just want a printer, our previous best buy is still available to purchase, the Canon iP7250. You want photo's, which we assume you do, as you're reading this section.